Large tent plan is sometime avaible for ~300-500 caps at Lewisburg Station, Whitesprings Depot, Charleston Station, Charleston Fire Department, Flatwoods Church. 1. Place the foundations, make sure the patterns match (if you care) because you won’t be able to rotate the foundations later. This time we’ll be taking a look at what I think are the best and worst perk cards as of the current version of Fallout 76. 10 posts, last by Sentinel76 5 months ago. I’ve seen a lot of people maxing out select cards and apparently not considering how to really optimize. The fact that a Perk card has 3 ranks doesn’t automatically necessitate that all 3 ranks will be worthwhile, or lead to it being the best option. This is primarily true for the weapons cards that have Basic, Expert, and Master versions. Other than the Clown Outfit the Hazmat Suit offers several advantages (apart from the look itself): It gives a rad resistance of 1000 and grants you 98% radiation reduction. 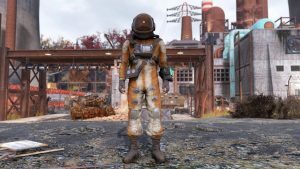 According to Camelworks the Hazmat Suit will protect you more than anything else in the game from both radiation environmentally and radiation in terms of damage.